If you like to wear natural looking make-up, you will love this product. It’s called Tin o’ Tint Strawberry, and it’s a coloured lip balm. This time of year, when the weather gets cold and windy, it’s essential that you moisturise your lips with a good lip balm, so this clever little product will multitask for you, giving you both the moisture you need and a touch of colour plus adding a delicious strawberry flavour to the mix. 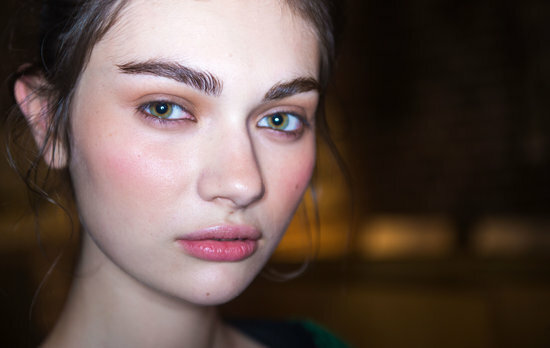 The colour is great, as it’s more of a stain than a lipstick, which is very on trend right now – i. e. natural lips with a hint of blush and healthy looking eyebrows. It highlights your lips ever so slightly to give you that healthy glow and make your teeth look a touch whiter. It’s ideal to wear in the day but also at night if you want to look understated but groomed. It comes from Miners cosmetics and it’s priced at £2.99, making it a great stocking filler or gift to yourself 😉 We love it at Beauty Spot! 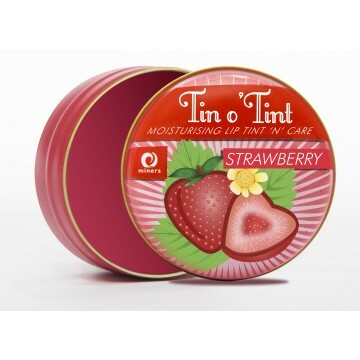 Fresh, fruity and classically British, Tin o’ Tint Strawberry will leave lips feeling soft, smooth and with a hint of soft red tint. Available at Minerscosmetics.co.uk, priced £2.99. This entry was posted in Fashion, Make Up, trend and tagged barely there, beautiful, blush, colour, lip stain, luxury, miners cosmetics, Natural, on trend, rose, TIn o'tint, wellbeing. Bookmark the permalink.